Finally, 42% of the skin color variation in the data can be explained by caste. V interesting data. So from the table it appears that the broad African-American group is a good analogue of the skin tone variation seen among S Asians. That sounds about right. Indians can be as dark as some native African people and as light as the more mixed end of the African-American spectrum. This tallies well with what I have seen too. BTW the distribution plot of melanin pigmentation is more Gaussian than I thought it would be. The little skew may not necessarily be a signal (needs more sampling to look at moment convergence). Notwithstanding, the ostensible normality is remarkable because I would have expected a casteist society to produce a more fat-tailed/multi-modal distribution than that. 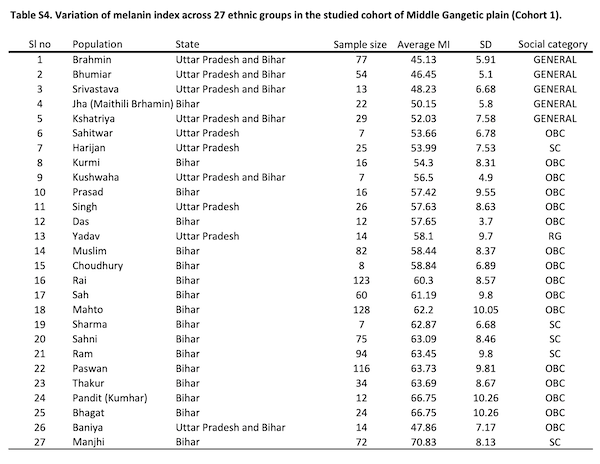 Gaussianity indicates more steady-state mixture and less prevalence of casteism. The ~40% R-sq hints at weak correlation too. Maybe if this plot were done for populations in N India as well, we’d get higher departures from the normal? 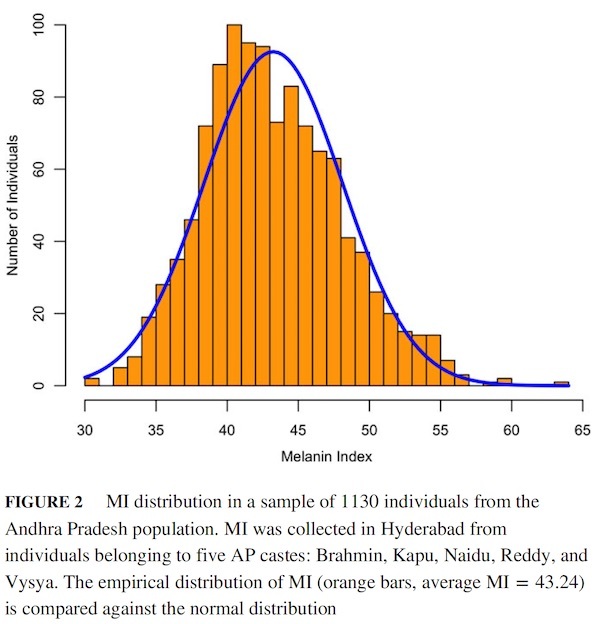 Measuring kurtosis (peakedness) of the sampled distribution across Indian regions could be a good indicator of caste-based melanin distribution. the distribution is dominated by the three agricultural casts from AP who are similar. so it’s masking multimodality. within a population skin color is moderately polygenic, so guassian isn’t horrible. The ~40% R-sq hints at weak correlation too. 40% R squared is pretty strong correlation. What does multimodality mean in this context? Polygenic here means that the genes interact additively to influence the pigmentation phenotypic trait? What would less polygenic mean in this context? Would it make pigmentation less gaussian? Sorry to betray my ignorance of genetics. the distribution of punjabis is guassian. the distribution of tamil dalits is guassian. now mix the two together in balanced proportions. you might have two peak distributions. if the #s were balanced i think that’s what we’d see. if a single gene controlled 50% of the variation. there’s no real line in a polygenic trait. Thanks Razib. This helped a lot. Maybe I should rephrase. How many modes might we theoretically be talking about? For example if we have 100 different groups with guassian distributions; the sum of all 100 groups might also have a gaussian-ish distribution. This makes total sense. 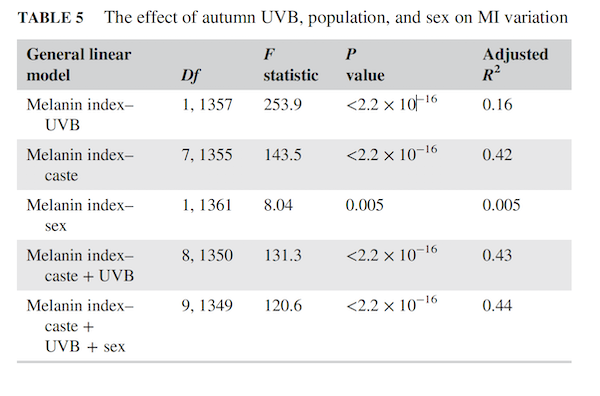 Are genes that influence menanin pigmentation additive? Strange as this sounds I have thought about this before. How pigmentation (me not being smart . . . I didn’t think menanin) is similar for many different types of humans from around the world [I only learned about DNA haploid gene admixture by reading Razib]. Which I took to mean that pigmentation is not neatly correlated with different mixed race people from around the world. Think that is the clincher. I still do not fully understand this. 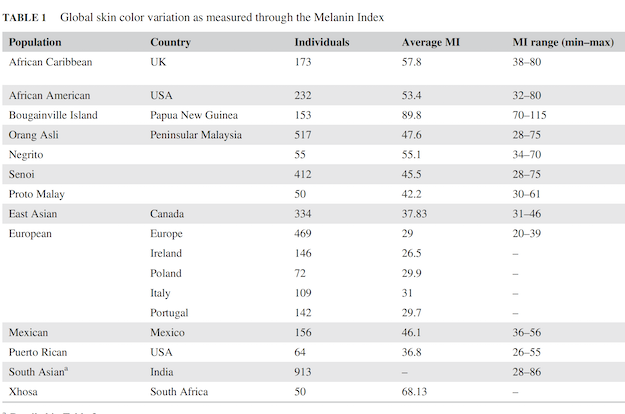 Not only the overall curve is Gaussian, but each group has a melanin index range larger than Europe. What does this mean? After the caste/group was formed, as the population increased, does the expression of polygenic distribution will widen the spread over time? in contrast, the entirety of European population ha a spread is less than individual Indian castes? I ask this because, as time progresses, as the spread increases, the desire of paler skin increases, as related to your next post? If, the entire nation has well mixed, then there is a possibility that the spread would have been smaller, and “lighter color desire” will reduce? Not only the overall curve is Gaussian, but each group has a melanin index range larger than Europe. europeans are at the physiological limit of pigmentation. nilotic peoples at the other end. what’s there to be surprised about? if you looked at hair color the range in variation in europeans would be way larger than all of the rest of the world. hm. well if the entire nation was well mixed it would be gaussian. the range would probably be the same since the sample size is larger, but population structure causes local modes so some of the more ‘extreme’ populations (e.g., very dark skinned AA groups or pandits) would reduce in fraction and so the tails diminish. Does the data differentiate between men and women? yes. use sci-hib. biggest difference is brahmin pops. men darker i think. marginal significant. i don’t think it’s a real effect tbh (biologically). the genetic architecture differs between populations. 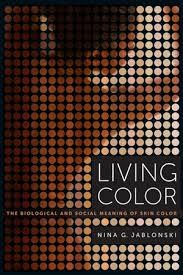 pigmentation effects in eyes and skin are connected, but skin is controlled by more loci. the former are a subset of the latter. 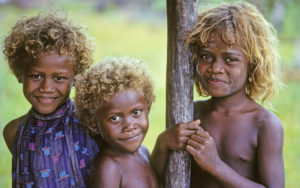 the locus in solomon islanders is TYRP, recessive expression for hair. in europeans many loci effect blonde hair,but one of the most significant is KITLG. it is 20% allele in northern europe, and even heterozyogous in has an impact. two of my children are hets, and their hair is noticeably lighter than the other, who is a homozygous for the more common variant. Does nutrition and stuff also affect hair color in that sense. I have few tribals in India too having blondish hair, but was told its because of lack of nutrition. yeah. but you have groups with varied modes and varied sample sizes. 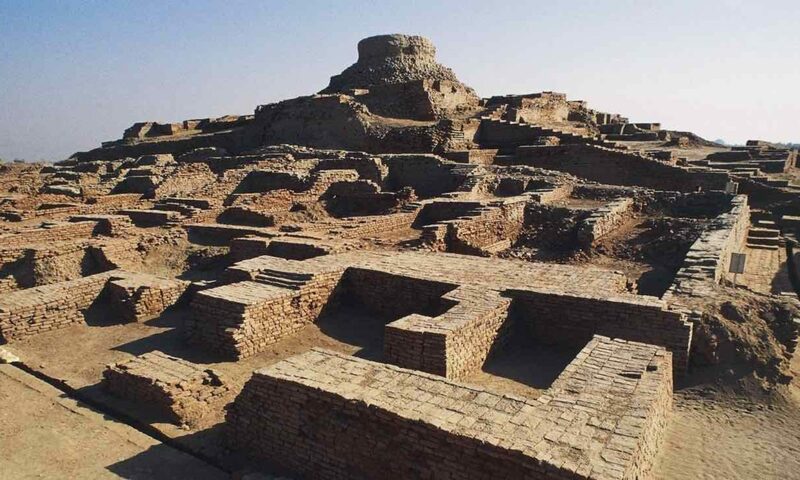 Figures for Yadavas appear dubious. They aren’t as markedly dark skinned as the figures suggest. Wow. I did not know that. Snake Charmer, you remind me about how little I know India. There are no south indian yadavs. the southern most state where they can be found is maharashtra, where they use surnames like like jadhav and gawali. there are pastoral communities in southern states but their self-identification is not yadavs. Definitely not recent immigrants, if at all. Maybe I should ask her. Not a polite thing to do, though. But do agree that north Indian Yadavs are indistinguishable from other upper castes as far as skin colour goes. Well the current the head of the family is named ‘Yaduveer’ after all. There are Yadavas in Rayalseema in AP. They are a Gavli/Golla/Gollar type community but have refashioned their identity in line with northern origin myths for the cattleherding jatis. 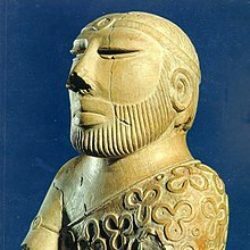 I’m skeptical of any unusual connection to the gangetic Yadavs. No, I am still struggling through the sci-hib, and think someone typed it wrong in the main table that Razib put together; it respresents Yadavs from UP and Bihar; the Yadavas from the old AP are another caste altogether. The OBC Yadavs are from UP (14) and yet another state not identified (Bihar, I guess) adding to a total of 30; the five AP castes that add to 1130 are provided above, and does not include Yadavas. I actually tried to correlate Steppe_MLBA from Vagheesan Narasimhan to this data, but there is no correlation (Not that, in retrospect, there should be). As someone pointed out, UP Brahmins were no better than the 5 AP castes. One can only make very top comparisons between castes like Brahmins vs. Harijans; if you get closer at OBC level, there is not a clear cut relationship between Steppe_MLBA and MI. If a model is going to be developed, it will be more complex. I even tried to place it in a map, but could not find a cross correlations between the distance from Khyber pass +steppe_MLBA combination, either. Snake charmer, i am aware of Jadhavs of Maharashtra but this paper which deals with Y-HGs of different communities of Tamil Nadu has a group called Yadhava from Madurai. Also, In Narsimhan’s preprint , there’s group called Yadav_Pondicherry. Who are these groups then ?